How many times have you watched the news over the years and cried silent tears over devastation in a far away land? I’m holding my hands up now, I’m often a channel turner on the sad bits during Comic Relief. Not because I don’t care but because it breaks my heart, especially to see children suffering. Their innocence robbed as they become young orphans and their lives are ripped a part. 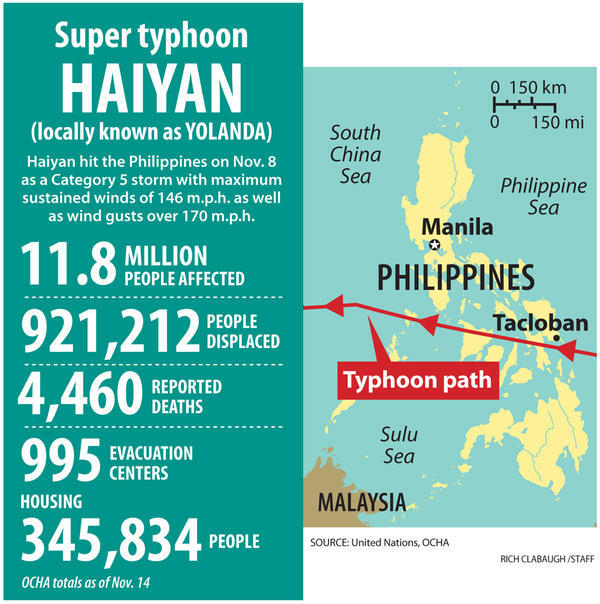 I’ve been living in a bit of a bubble with little contact with the outside world but whenever I do get connection I’ve been peering through my fingers at the devastation Typhoon Haiyan (Yolanda) has caused in the Philippines. Up until a few months ago I’m ashamed to say I would have struggled to have pointed to the location of the Philippines on a world map but as nearly every day as I travel around Indonesia and Malaysia I check my location I’ve become acutely aware of these islands – world-wise I’m close. I’ve been lucky enough to meet a number of Filipino people on my travels and always been surprised at their optimism. They assure me that they’re a tough bunch and don’t dwell on the negative. They get through life with humour and a positive outlook and if anything it will bring their people closer together. Anyway, I found myself questioning whether I could do something to help, I’m just around the corner after all. Indeed, I’ve met a couple of backpackers who’ve told me that’s their next stop. So should I stay a ‘channel turner’ and carry on with my travels as planned or can I do something more? Can I go there? I’m asking myself these questions and turning them over in my head. I’ve tried to research volunteer organisations working out there, because as a novice female solo traveller I don’t know if it’s safe to just hop foot it there. Plus, I’m not entirely convinced backpackers turning up unannounced, albeit meaning well, are more of a hindrance than a help. Extra bodies to feed and find beds for may well be the last thing they need. I’m inexperienced in natural disasters and dealing with people going through this kind of upheaval, would I be able to cope? It’s one of those rare moments in life when you know it’ll either make or break you as a person. I’d love to conclude this with a ‘so I’m heading out there’, but I’m not. I admire those that have gone and of course my heart goes out to all the Filipino people who have lost. For me, I don’t know how much value I can add right now but far from being a channel turner I am trying to keep up-to-date with what is happening in the Philippines and I’m soaking up more world news than ever before. Instead I’ve decided to donate via G Adventures charity Planeterra, an excellent charitable company I’ve travelled with before, who are matching all donations. If you’re interested to see first hand what is happening in the impacted areas, follow @dguttenfelder on Instagram for some very moving photography. ← Starbucks, Fashion Magazines & Eating Disorders. Thank you for your compassion and empathy for the plight of my country’s affected people. The thoughtfulness alone is just as significant (or more so) as volunteering. Thanks for raising awareness about the Philippines. You are at the top of the world’s consciousness. I hope you & your people get the right support to rebuild & the pain of all the lives lost gets easier. Thinking of you. Thank you for keeping the Philippines in your thoughts. Of course & many others thoughts. I hope the money raised is getting through to help people in need.